This is the cornerstone Working Triathlete 70.3 plan for competitive athletes . It should only be undertaken after a solid base of fitness has been established. You should be able to swim an hour, cycle two+ hours and run 90 minutes. Ideally, you should should be able to easily sustain a weekly training volume of 8-10 balanced hours each week. The plan keys off of your threshold power for the bike and threshold pace for the run and swim workouts (i.e. % of your functional threshold power and threshold running pace). If you don't know your threshold metrics, consider the 14 week Advanced plan, executing the 6-week base building plan prior to the 12 week plan, or testing yourself prior to commencing the plan. Purpose is to spend time near threshold without developing undue fatigue. Rest intervals are short enough to recharge but not fully recover. 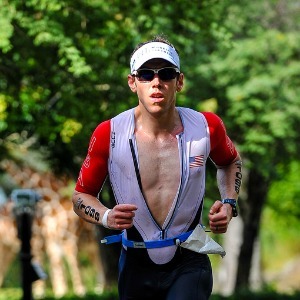 Working Triathlete is a resource for busy athletes who want to dominate in life and athletics. Learn how to cut out the fluff and wring every drop of potential from your body in the time you have available to train. With a focus on maximizing your performance in fewer hours, Working Triathlete coaching, training plans and e-books can teach you how to approach your genetic potential in triathlon without sacrificing other areas of your life.